I am willing to bet if you searched for this article, you’ve played Diablo and/or Diablo 2 before. How could I make such an outrageous claim? 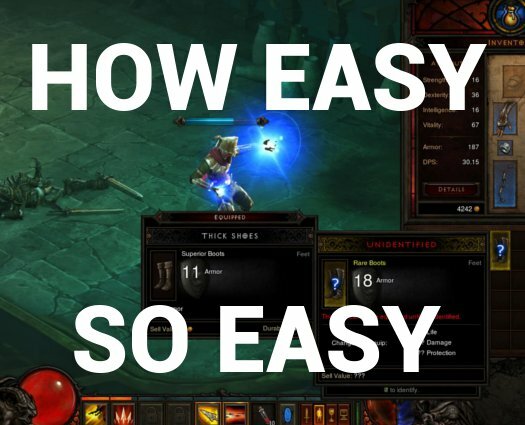 Easy, identifying an item is so completely different in Diablo 3 that you’d think identify scrolls unlock at later levels or some quest event. 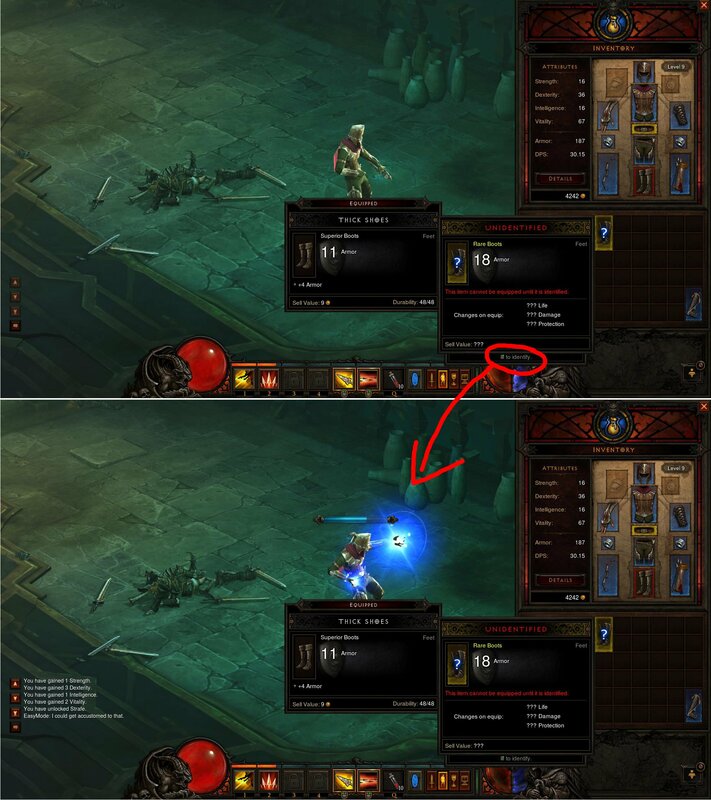 I’m happy to tell you that identifying an item in Diablo 3 is SO EASY, it’s literally as easy as right-clicking on the item. Yep. That’s it. Take a look at the screen shot below, I’ve highlighted the tiny little tool-tip text that I completely didn’t see on my first go round. Fun fact: I spent 25 minutes trying to find out how to do this. Haha, I was looking for ways to make Deckard Cain identify my first rare, and then I eventually found this post lol. Thank you so much. I was so irritated that this was so obvious, but who would have guessed you just right click?